Our services cover all stages of structured product investments, from the product design, pricing, sourcing from multiple issuers world wide until life cycle monitoring and repayment. Connecting investors, wealth management banks, investment banks, brokers together. Serving investment requests from investor/wealth managers in a fair basis from multiple issuers. Adopting current business process and improve its efficiency. All participants can benefit Derizone right away at Day 1 without changing their local systems. Supporting multiple communication protocols: via email, via web service or via the provided web portal. Covering all stages of a request for offer process: from selecting/analyzing an investment strategy, requesting offers from issuers until finalizing and settling the offer between the investor/asset manager and the issuer. Configurable workflow to match specifically to the client business process. With expertise in both IT and structured products, we offer consultancy services in the area of reference data modelling, IBT/CONNEXOR enabling, VDF data feed as well as derivative/structured product life cycle management and business processes. Our firmly objective is to support our clients to build scalable services, to reduce investment and operation costs and to improve the efficiency. Derizone products and solutions cover all stages of an investment cycle, from the initial product design until repayment. These products can be federated into a single complete structured product solution or can be used independently and combined together following the LEGO design principle.  Derizone AG is a Fintech company based in Zurich, Switzerland, founded by a group of structured product and IT experts, who contributed to define the Swiss structured product standard and to build the SIX Swiss Exchange structured product infrastructure. Our main focus is the development of solutions for different aspects of a full investment life-cycle of structured financial products. Together with CONNEXOR, we jointly offer Derizone/CONNEXOR Editor to structured product issuers to allow users to edit their structure products and submit them to the SIX Swiss Exchange. This service is currently in used by 26 Swiss and international structured product issuers. Derizone provides enhanced and customized functionalities, which will be integrated directly to the CONNEXOR Editor as well as other CONNEXOR services. Issuer-specific Editor templates to simplify and minimize structured product editing. In addition to 26 existing structured product templates, Derizone also offers additional issuer-specific product templates, which are exactly tailored to each product type. Derizone OTC is a web-based multi-issuer service that allows wealth manager banks/asset managers to design an investment strategy and request for quotes from multiple issuers. 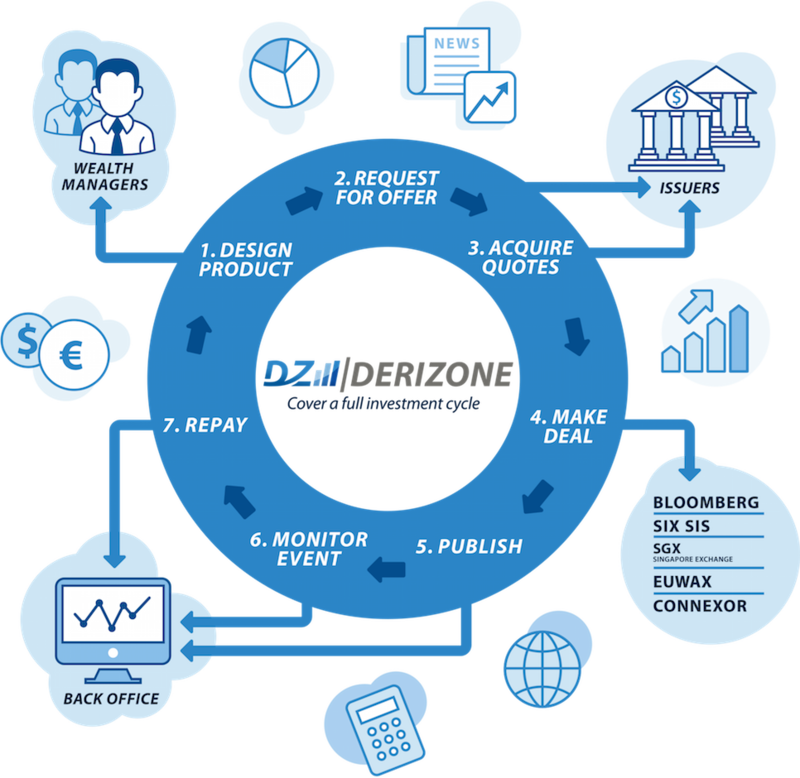 Derizone OTC covers a full OTC trading workflow: designing a product, requesting for quotes, finalizing the terms and settling the trade. Intersted in Derizone OTC? Click here to obtain a free access to Derizone OTC. Derizone Event offers services to monitor all structured product life cycle events such as barrier event, early redemption, corporate action events, cash flow fixing events and payment events. Intersted in Derizone Event? Click here to obtain a free access to Derizone Event. Derizone Document allow generating various kind of documents related to the product and its life cycle event stages. Derizone Distribution provides import/export functionalities for static data as well as life cycle events to external systems such as middle/back office, CONNEXOR, Bloomberg, etc. The products, market data, calculated data, services, tools and documents contained or described in the public access area as well as on the restricted access area (the "Content") are for reference purposes only and constitute neither an advertisement or recommendation to invest in any financial product, to effect any transaction or to enter into any legal relations. The user who creates, edits and trades product using Derizone services must be aware of the complexity of structured products and should conduct a thorough analysis and obtain all necessary professional advice. Derizone AG serves on the best basis and will try to bring the accuracy and stability to its services. However, Derizone AG provides no warranty to the accuracy and the completeness of the Content as well as the content it obtains from third parties. Derizone AG disclaims any and all liability for any kind of losses or damages as a result of (1) the Content, accuracy, completeness, (2) any errors in or omissions from the Website (3) use of or access to the Website, (4) any inability to access or use the Website for any reasons. The user has the right to the product information submitted directly to Derizone service and will allow Derizone AG to use the information in its services to that user only. Derizone AG will not disclosure the information to any third party without the consensus from the user. Derizone AG is committed to protecting the privacy of our users and the financial instruments/trades generated by users.